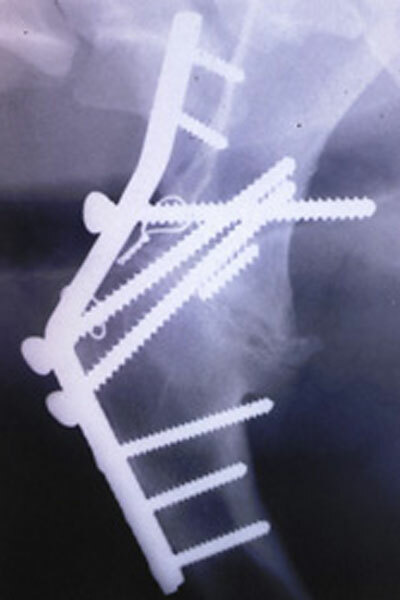 We have extensive experience in the diagnosis and manaqement of all joint disorders a selection of which are shown below. 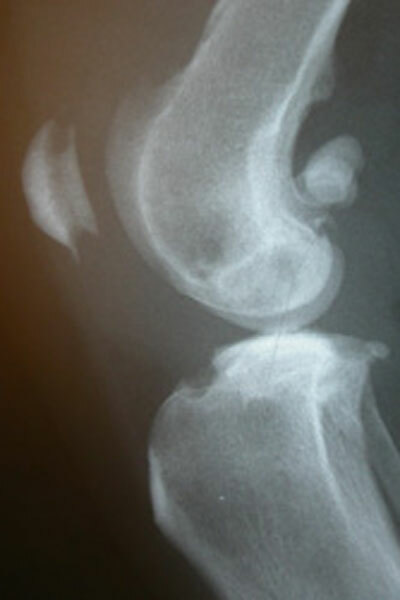 X-ray of stifle joint with synovial osteochondromatosis. 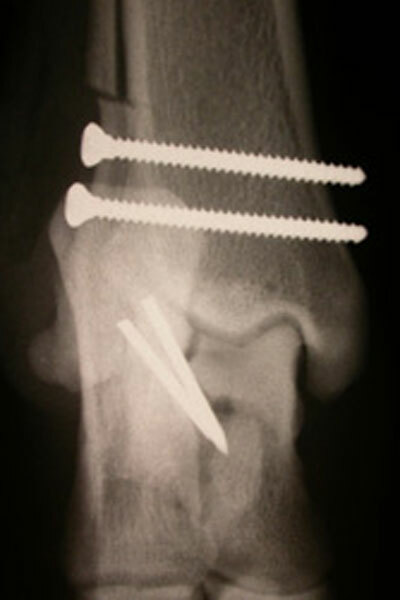 X-ray of hock joint with talar ridge fracture managed with K-wires. 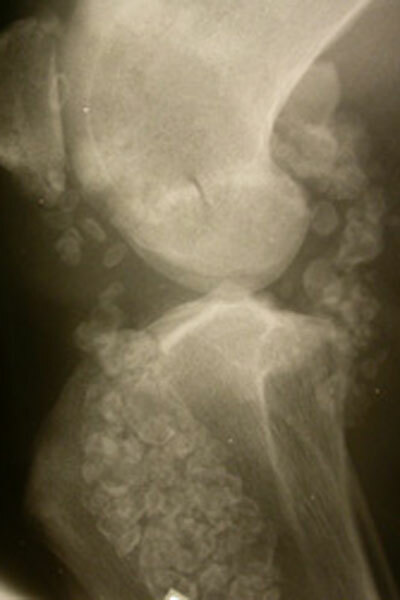 X-ray of stifle joint with synovial sarcoma.